Aviation Updates Philippines - The Malaysian regional carrier, MASwings Sdn. Bhd., decreased its Kota Kinabalu-Puerto Princesa flights. From 5 weekly flights, the airline will be decreasing the service to 3 weekly flights on Tuesdays, Fridays, and Sundays. According to Doreen Padilla of the Civil Aviation Authority of the Philippines in Puerto Princesa, they received a notification from MASwings temporarily suspending two flights effective June 30 after 8 months of operating the Kota Kinabalu-Puerto Princesa route. "The airline advised us they will temporarily suspend their Monday and Thursday flights as there are some requirements they need to comply with," Ms. Padilla said told BusinessWorld in a phone interview. However, Padilla didn't elaborate about the requirements. The airline's local representatives could not be reached for comment. 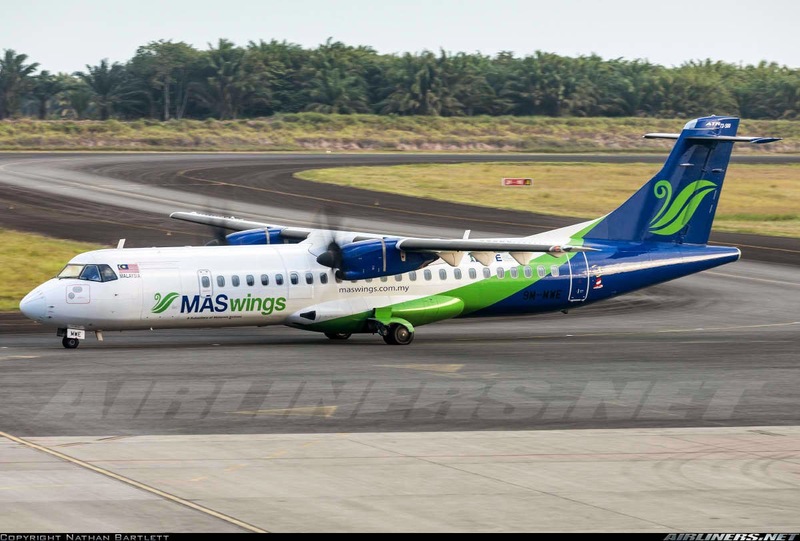 MASwings previously announced on its website that starting June 2, it would service the route five times a week on Mondays, Tuesdays, Thursdays, Fridays and Sundays utilizing their 64-seater ATR 72-500 aircraft. "MASwings is pleased to be able to meet the great demand on the route Kota Kinabalu-Puerto Princesa. With its eco-tourism attractions… Puerto Princesa is quickly making its mark on the list of Must Go destinations," MASwings Chief Commercial Officer Shauqi Ahmad said in a statement. However, Romeo Montenegro, Mindanao Development Authority director for investment promotions and public affairs, said that MASwings added more flights to the two routes due to the increasing interest on the tourism attractions of the two places. The Malaysian carrier, which is wholly-owned by Malaysia Airlines, started servicing Puerto Princesa on November to serve passengers between the two places. At first, the route was operating 3 times a week, but due to the increasing demand of passengers, the carrier decided to increase flights.